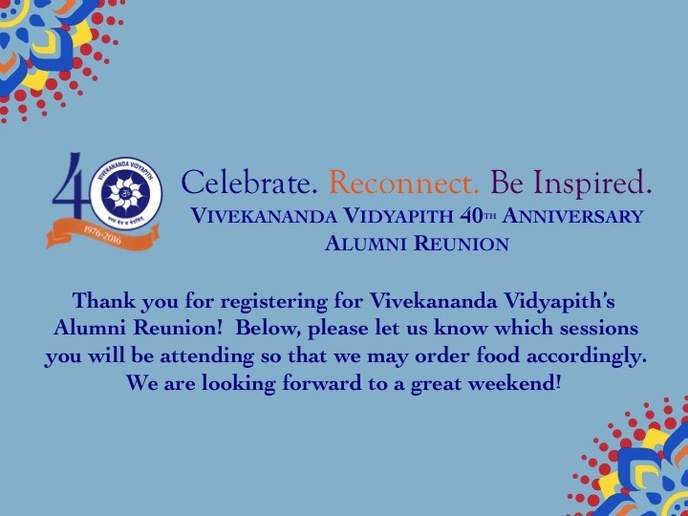 Registrants Family RSVP - ​Vivekananda Vidyapith Inc. Note: If you are a teacher or volunteer and your children are Alumni, you do not have to RSVP for them - they will RSVP for themselves separately. If you are an Alum and your parents are teachers or volunteers, you do not have to RSVP for them - they will RSVP for themselves separately. Thank you! I will be able to attend. I will not be able to attend. My spouse will attend. My child(ren) will attend. I will be able to attend. I will not be able to attend. My spouse will attend. My child(ren) will attend. My parent(s) will attend.